After trying calligraphy for the first time last year, I’ve been itching to give it a go again! I first got the opportunity to try this art form at the Anon Design day retreat I attended in 2018. 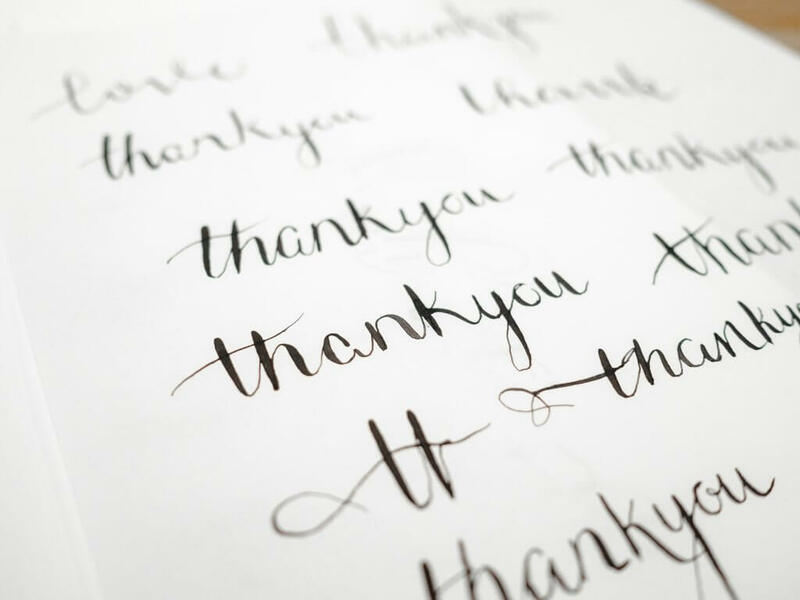 It was a beautiful, luxurious day of yoga, delicious lunches, inspiring women, and learning calligraphy with designers Erica and Lyndsey. 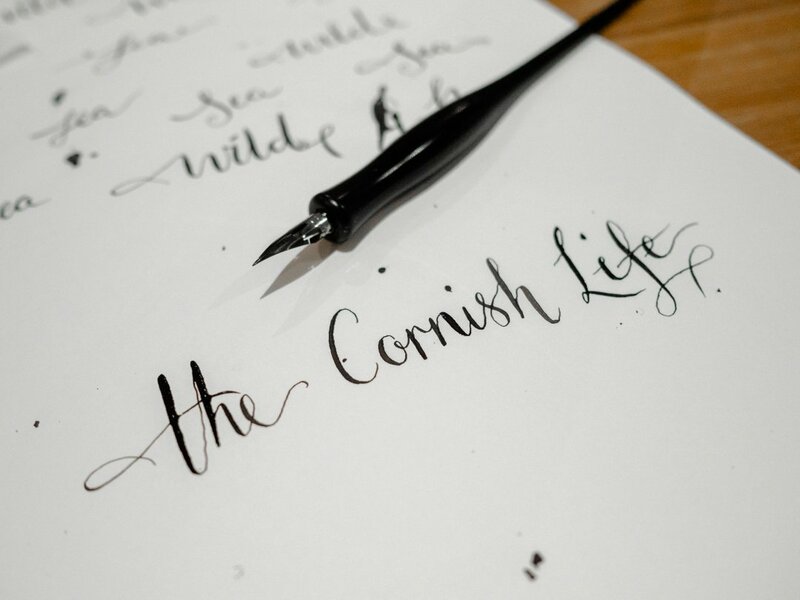 As a calligraphy specialist, Lyndsey also offers individual calligraphy workshops for beginners throughout the South West (namely Plymouth, Cornwall and Bristol) under the separate alias of Wild Sea Photography. On the retreat last year I remember how kind and helpful Lyndsey was, and how great she was at teaching this skill to others who had never even picked up a pot of ink before! 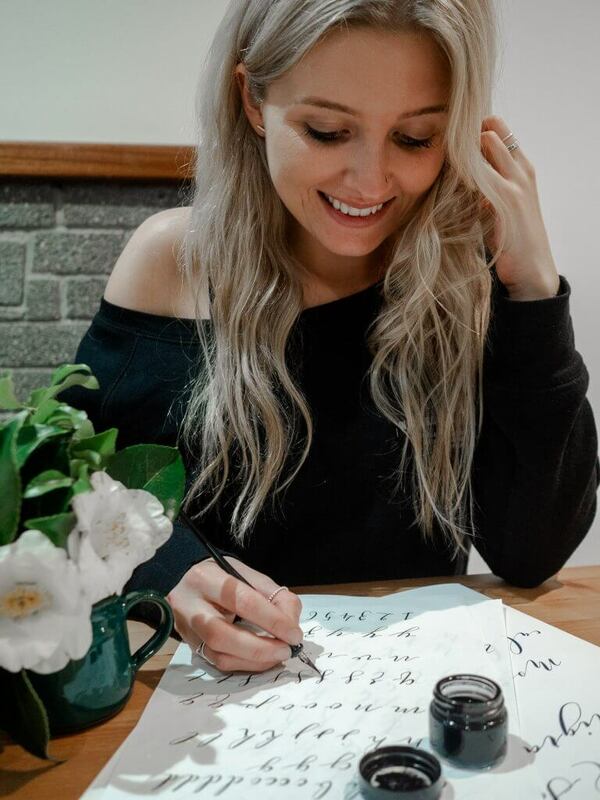 She’s a lovely person and when she contacted me asking if I’d like to try out one of her Beginners Calligraphy Kits, of course I jumped at the chance. + a little bag of relaxing tea to help get you in the zen mood! 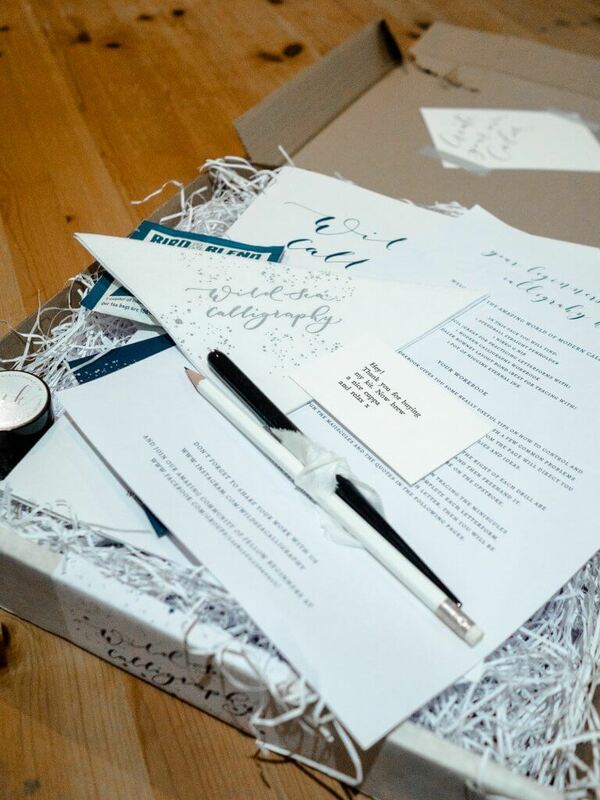 I remember on the retreat as well, how amazed I was at Lyndsey and Erica’s ability to create STUNNING gift boxes and goodies that delighted their retreat guests, and the products you receive from Wild Sea Calligraphy are no exception! 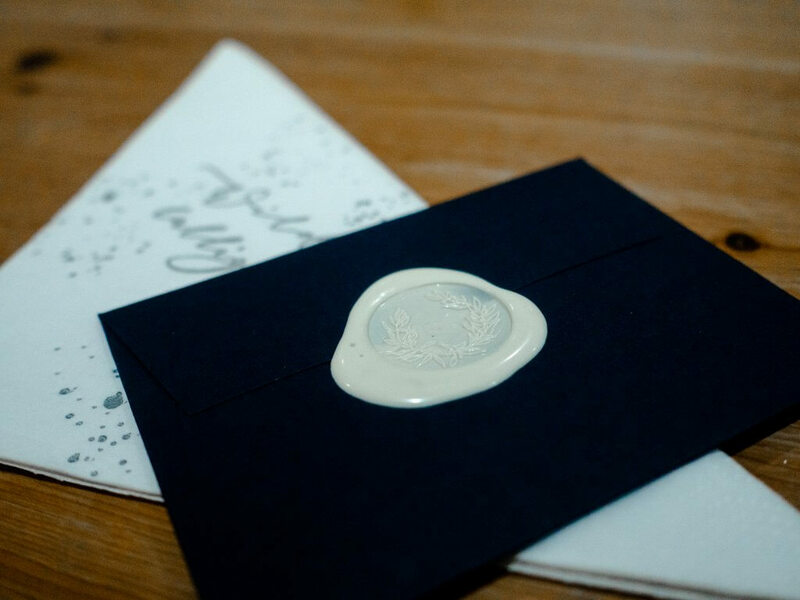 Beautifully packaged, Lyndsey has a knack for ensuring everything is perfectly branded and evokes a feeling of calm and creativity. I love her style! 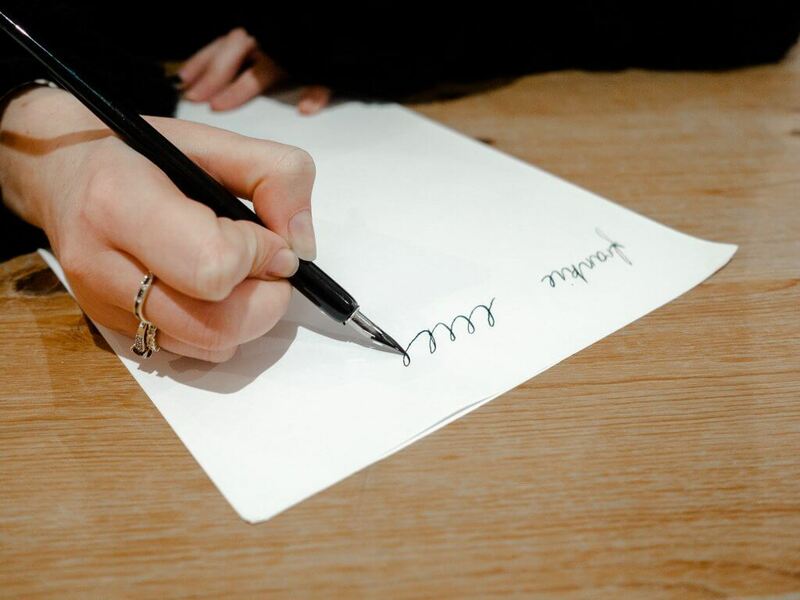 She’s also a huge advocator for self-care and adding moments of mindfulness to your life, which is what I wanted to create while I gave the art of calligraphy a second try at home. I invited my friend Frankie over to join me, and together we sat with music playing, incense burning and a couple of gingerbread lattes to practice our lettering. As it turns out, I remembered a little from last time and got in the flow quite quickly. 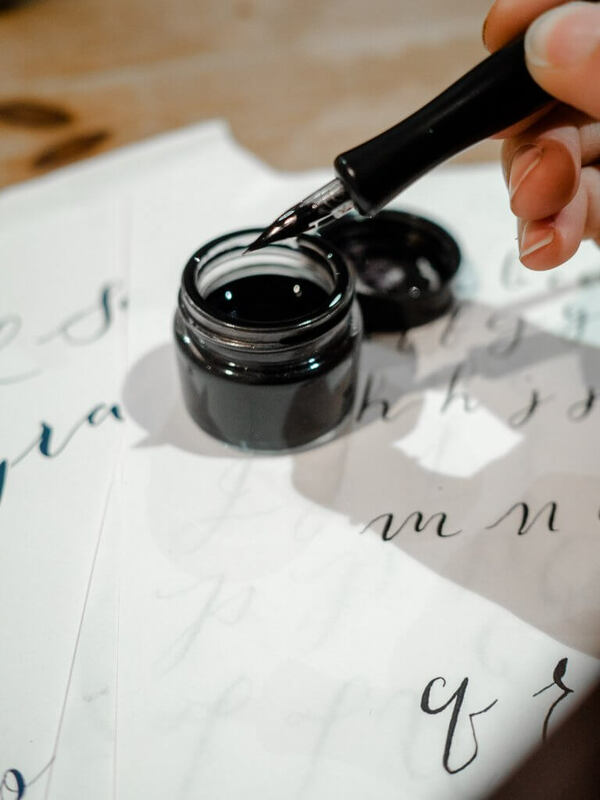 Frankie had dabbled in calligraphy when she was in school but hadn’t tried it since, but with Lyndsey’s step by step instructions we were both off experimenting with our own words and letters in no time. It’s amazing how quickly the time passes when you’re doing this. 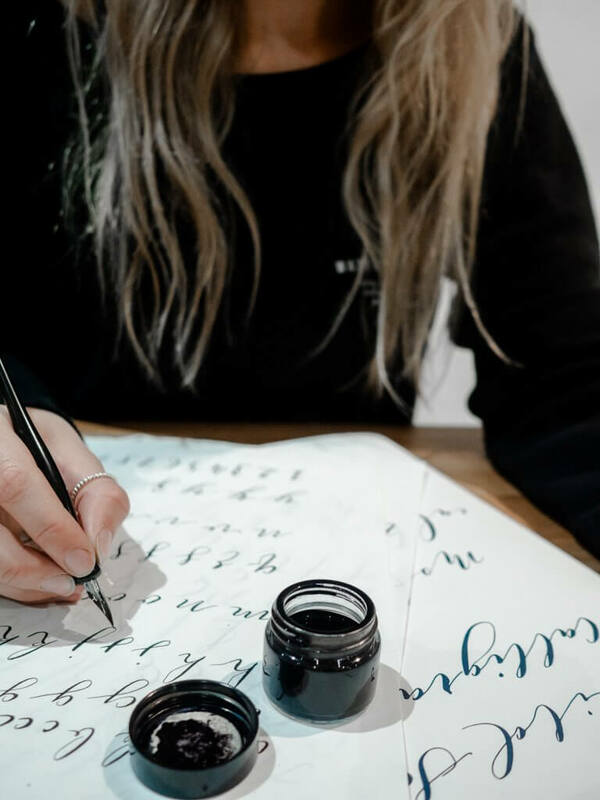 Calligraphy is incredible therapeutic, and I often found myself glancing up and realising I’d been writing the same word about 40 times without even realising – I was definitely lost in the moment! It’s also so nice to do something creative with your hands. 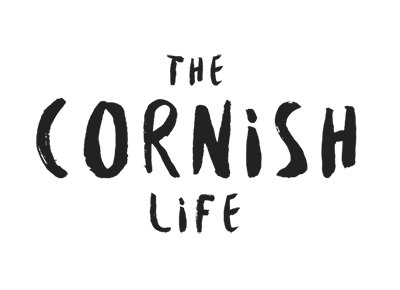 As a brand and website designer, all the work I do is digitally on a screen, so this is really refreshing for me. 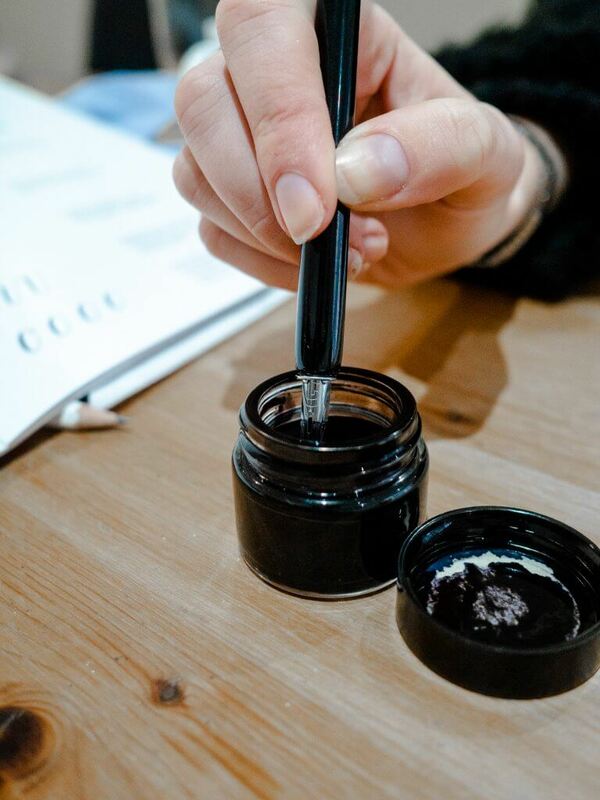 Frankie and I had such a nice afternoon just chilling out, chatting, and creating beautiful inky artworks that probably will never be seen by anyone else – but it doesn’t matter because I really feel calligraphy is all about the process and living in the moment, rather than focusing on the results. Totally different to everything else I do in my life, so I love it as a hobby! Whilst I truly enjoyed the workshops and would definitely recommend heading to one if you get the chance, having a kit like this means you can relax in the comfort of your own home and really get lost without distraction from this peaceful activity. It also means you can do it and take it with you anywhere too! It’s designed to include everything you need as a beginner, so all you need to do is open up the kit and get started. What tools or activities do you use to help you relax and take a mindful moment to yourself?